With summer just around the corner, many of you may be planning vacations. No one wants to return to an inbox full of messages from Connect. You can, with a single checkbox, stop all email notifications from Connect. When you’re ready to return to the conversations, you’ll simply click the checkbox again. All your settings will stay in place. The groups and pages you follow will be reinstated. 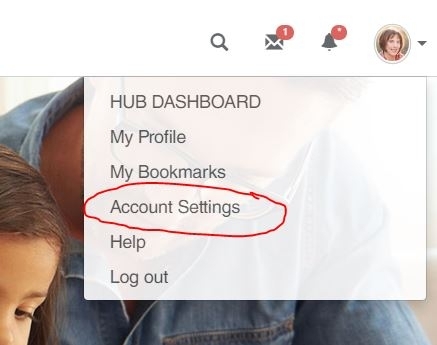 On a desktop computer, you’ll find Account Settings in the drop-down menu below your profile picture in the top right corner. On a mobile device, go to the menu and click My Account. After your absence, simply repeat the instructions and Enable email notifications again.